WASHINGTON, DC, October 2, 2012 (ENS) – Conservationists celebrated Monday as the U.S. Supreme Court denied a request by the State of Wyoming and others to review the legality of a federal rule that protects roadless National Forest lands. The high court decision means that the Forest Service 2001 Roadless Area Conservation Rule has survived more than a decade of legal challenges and remains the law of the land. Wyoming lost its challenge to the Roadless Rule before the Denver-based Tenth Circuit Court of Appeals in October 2011. The appeals court unanimously upheld the rule, a decision that followed a similar ruling by the San Francisco-based Ninth U.S. Circuit Court of Appeals. Signed by President Bill Clinton just eight days before the end of his administration, the Roadless Rule protects 58.5 million acres, or about 30 percent, of National Forest lands in 38 states and Puerto Rico. The rule forbids road construction, road reconstruction, and timber harvesting in inventoried roadless areas on National Forest System lands. These areas provide critical habitat for more than 1,600 threatened, endangered, or imperiled plant and animal species. “We are pleased, but not surprised, that the Supreme Court refused to hear these appeals. This is the final nail in the coffin for anti-roadless area interests,” said Duane Short, Wild Species Program director with the Biodiversity Conservation Alliance based in Laramie, Wyoming. Some 3.3 million acres of inventoried roadless areas lie within Wyoming’s 9,238,000 acres of national forests. The Roadless Rule protects roughly 35 percent of Wyoming’s national forests. For the past 10 years, attorney Kristen Boyles with the nonprofit law firm Earthjustice has gone to court to support the Roadless Rule. “Americans love these lands, and it has been an honor to represent those American values before the courts for the last decade,” she said. Click here for a timeline of legal action on the Roadless Rule. “The 10-plus years of our legal campaign to defend the Roadless Rule have seen many twists and turns in the legal process, but one thing hasn’t changed – the undeveloped forest lands at issue remain some of the most environmentally important public lands in our country. They produce clean water and clean air, offer a last refuge to imperiled wildlife across a warming, changing landscape, and provide world-class recreation opportunities for campers, hunters, hikers, fishermen, and bird watchers,” she said. Jane Danowitz of the Pew Environment group points out that the Roadless Rule was the result of the largest public lands review in U.S. history, with more than 1.2 million comments and 600 public hearings. According to a recent U.S. Department of Agriculture report, national forests and grasslands sustain 223,000 jobs in rural areas. 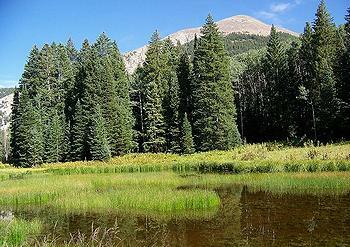 National forests are also the source of drinking water for about 124 million Americans in 900 U.S. cities. Roadless areas also are viewed as a way to save taxpayers money. America’s National Forests now are covered with 386,000 miles of roads, enough to encircle the Earth 15 times. A multi-billion dollar maintenance backlog exists on National Forest roads, according to Forest Service estimates. CMA President Stuart Sanderson thanked the eight states and agriculture, mining, recreation and other public lands users which had also asked the Supreme Court to strike down the rule. 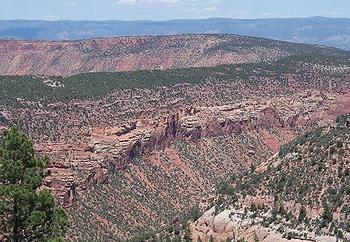 On July 3, the Colorado Roadless Rule took effect. It applies to 4.2 million acres of National Forest roadless areas within Colorado and conserves roadless area values for future generations, while providing for activities important to the citizens and economy of Colorado. From July 2006 to June 2012, there were five public comment periods resulting in more than 310,000 comments from people throughout the country on the Colorado rule. The legal fight over natural resource extraction on roadless national forests continues in Colorado. On September 24, Earthjustice filed an administrative appeal on behalf of conservation groups challenging a U.S Forest Service decision approving a coal mine expansion that paves away for the corporate giant Arch Coal to bulldoze 6.5 miles of road and 48 natural gas drilling pads within the Sunset Roadless area 10 miles east of Paonia, Colorado. The Forest Service’s August 2012 decision is the second within a year permitting the expansion of Arch Coal’s West Elk mine into roadless lands inhabitated lynx, black bear, elk and goshawk. The conservation groups won an appeal in February 2012 overturning the Forest Service’s initial approval of this expansion when the Service concluded that it had failed to explain weakened protections for lynx, bald eagles, and measures meant to prevent landslides. Idaho, too, has a state-specific Roadless Rule, which took effect on October 16, 2008 under the Bush Administration. 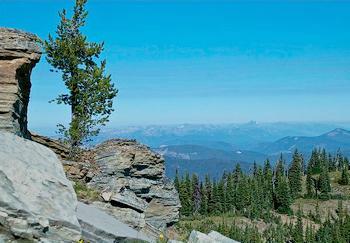 This rule designates 250 Idaho Roadless Areas and establishes five management themes that provide prohibitions with exceptions or conditioned permissions governing road construction, timber cutting, and discretionary mineral development. Any decision to build a road, allow mineral activities, harvest trees, or conduct any other activity permissible under this final rule will require site-specific analysis under the National Environmental Policy Act. Click here to view maps of inventoried roadless areas on National Forest lands and federal government legal documents related to the national and state-specific roadless rules.